Arms, balance, core, kick, hands, splash and don’t forget to breathe! Just to remind you, the purpose of the adventure is to raise funds for cancer research – so if you feel inspired… you know what to do. I can’t remember the last time I did swimming training, well any formal training, actually. I’m sitting here on the sofa, showered, warm and fed, knowing that I have used muscles tonight that had been somewhat dormant for a while. When I was at school I was a competitor – swimming and athletics. Since then I have dabbled in different fitness activities, but this is a new step for me. I am one of those people who tend to work things out for myself, joining a group of new people and squad training is not something I’ve done before. But getting out of my comfort zone was part of the plan. 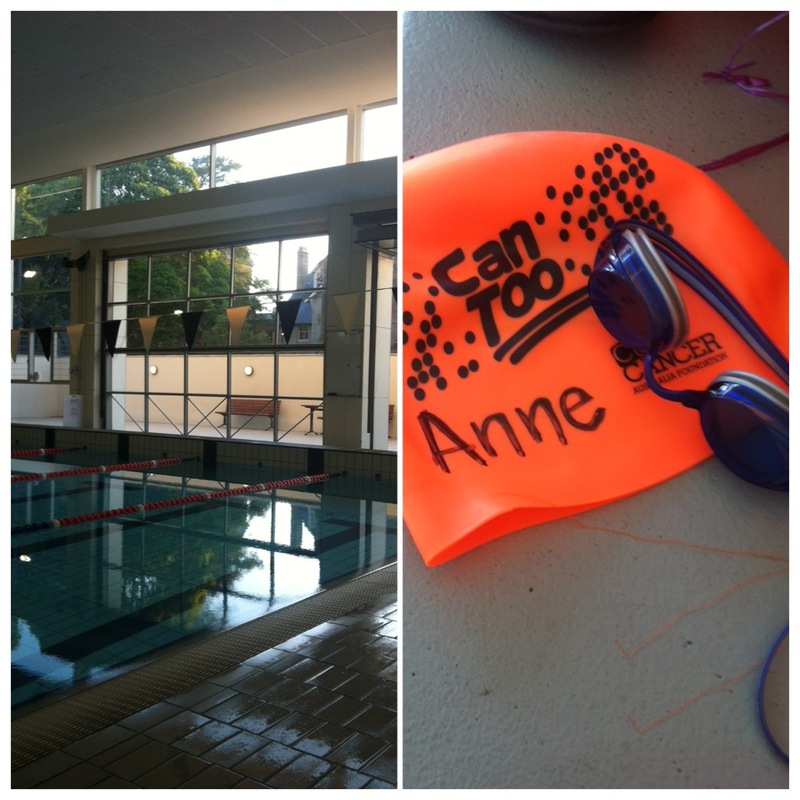 The first training night, the unknown, was a little daunting, but only until I arrived at the pool. It started at 6.30pm, just after the KRB girls finished their squads, then the pool was ours. I met Liz and Amy, our team captain and mentor. We received our show bag, met Steve the coach and got started. Can Too grows community through the pods, training together, supporting and encouraging one another. We swam and swam and swam, interspersed with training techniques. I was pretty pleased with my level of stamina, all things considered. There is a small group of us, preparing for swimming events in January and February. While I am doing this Bill has decided to train as well, he went off to Neilsen Park to start his training in the harbour. I have accepted the first part of my commitment, I have taken the Challenge. The next step will last a little longer – Perseverance. And then Completion, eventually.